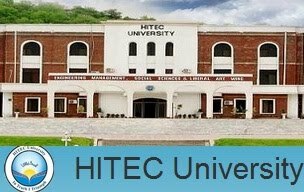 Admissions are open in HITEC University Taxila for Fall 2010. HITEC University is a Govt. of Punjab Chartered University. HITEC is offering admissions in following programs. How to Apply: Admission forms can be downloaded from the website or you can get them from university campus and designated branches of Bank Alfalah. Then submit the filled application forms along with documents required.